RICHARD PANKHURST is the son of the Suffragette leader Sylvia Pankhurst (1882-1960). He is a world-famous scholar of history and a central figure within the Ethiopian academical and cultural life, as well as a highly esteemed person amongst ordinary citizens of Ethiopia. He has published more than 20 books, mainly concerning Ethiopian history, and innumerable essays, not least published in The Encyclopaedia Aethiopica. 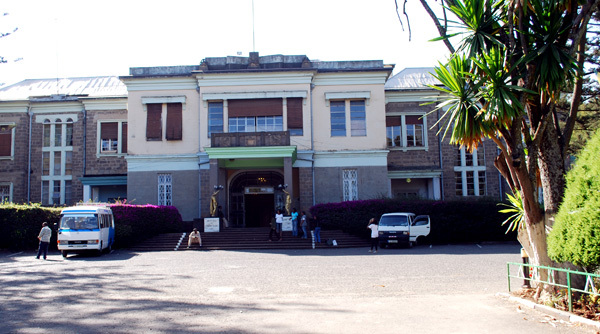 As founder of The Institute of Ethiopian Studies (IES), Addis Ababa University, centre for the international studies of the arts of Ethiopian, since 1963 housed in the former villa of Emperor Haille Sellasie (see photo below), Pankhurst has made and still makes a great scholarly and pragmatic contribution to the history and culture of Ethiopia. His most renowned achievement to the Ethiopian people was when he directed the campaign for to repatriate the great stelae of Aksum, a more than 30 meter high monolith from the 4th century, considered as the most precious cultural heritage in the country. In 1937, it was looted by the Italian Fascist regime and moved to Rome. After many years of efforts and negotiations with the Italian government, in 2005 it was returned to Aksum, an event celebrated by the whole nation (learn more: The return of the Aksumite stelae) A sign of his position as the grand old man of Ethiopian studies is that the new university library at Addis Ababa University campus will be named The Richard Pankhurst University Library. 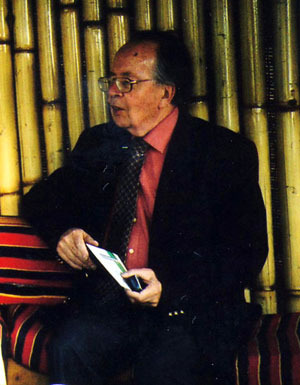 Besides being the founder of IES, Professor Pankhurst is, since many years, one of the organizers behind the international conferences on Ethiopian Studies and on the history of Ethiopian Art and Architecture. He is also a main figure in the supporting organization of IES: Society of Friends of IES (SOFIS) which amongst other things has and still is building up the IES Museum for Ethiopian artifacts, hand crosses, icons and manuscripts, a unique collection. Richard Pankhurst has ever since 2005 and the first preparations of this project given his full support and is a spokesman for the aim of our society.